Dozens of people have been killed in wildfires in northern and central Portugal and in Galicia in Spain. Arson has been blamed for some of the fires, which have been fanned by Hurricane Ophelia and hot autumn weather. Portugal has declared a state of emergency after hundreds of wildfires ravaged forests in the north and center of the country. Unusually hot temperatures and prolonged dry weather throughout helped the fires spread easily. "We are facing new (weather) conditions... In an era of climate change, such disasters are becoming reality all over the world," Portuguese Interior Minister, Constanca Urbano de Sousa, said citing the fires burning in California. 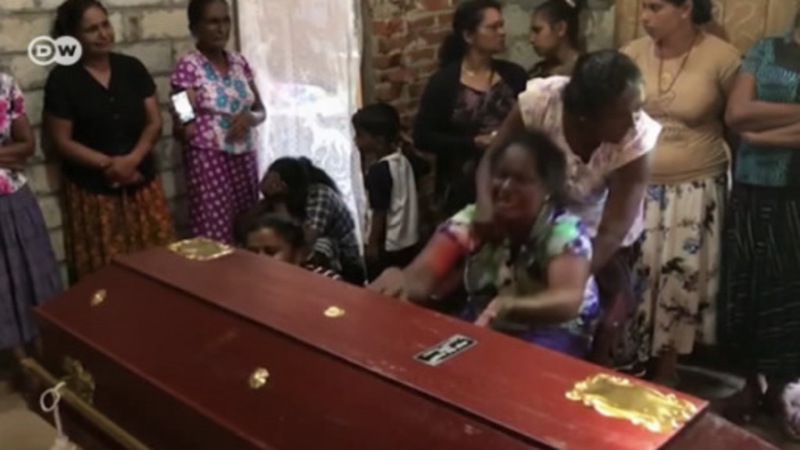 The deaths come just four months after 64 people were killed and more than 250 injured in mid-June, in the deadliest fire in the country's history. Across the border in Spain, at least three people died as more than 105 fires broke out in the northwestern region of Galicia. Spanish and Portuguese authorities have blamed arson for some of the fires. Speaking to firefighters in the region, Spanish Prime Minister Mariano Rajoy said "what we are seeing here doesn't happen accidentally. This has been provoked." "They are absolutely intentional fires, premeditated, caused by people who know what they are doing," said Alberto Nunez Feijoo, the head of the Galicia regional government. He said that 90 percent of forest fires each year in Galicia were intentional. Spanish Interior Minister Juan Ignacio Zoido said "several people have been identified in connection to the fires in Galicia." The fires in both Spain and Portugal were exacerbated by strong winds caused by ex-Hurricane Ophelia, whose remnants brushed the Iberian coast and has also caused major disruption in Ireland. The European Commission offered its condolences and vowed to help where it could.